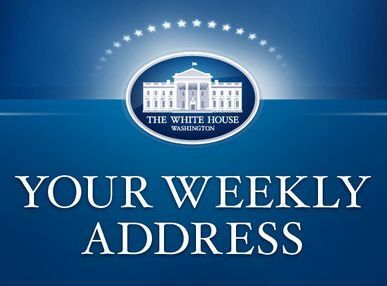 WASHINGTON, DC — In this week’s address, the President highlighted the good news in Friday’s jobs report – that American businesses added 314,000 new jobs this past month, making November the tenth month in a row that the private sector has added at least 200,000 new jobs. Even with a full month to go, 2014 has already been the best year of job creation since the 1990s. This number brings total private-sector job creation to 10.9 million over 57 consecutive months – the longest streak on record. But even with this real, tangible evidence of our progress, there is always more that can be done. Congress needs to pass a budget and keep the government from a Christmas shutdown. We have an opportunity to work together to support the continued growth of higher-paying jobs by investing in infrastructure, reforming the business tax code, expanding markets for America’s goods and services, making common sense reforms to the immigration system, and increasing the minimum wage. Hi, everybody. Just in time for the holiday season, we now have another piece of good news about the pace of our economic recovery. Last month, our businesses created 314,000 new jobs. And that’s not a fluke – it keeps up the solid pace of job creation we’ve seen all year long. November was the tenth month in a row we’ve added more than 200,000 jobs. So far this year, our economy has created 2.65 million new jobs. That’s the most of any year since the 1990s – even with a full month to go. All told, our businesses have created 10.9 million new jobs over the past 57 months. And that’s the longest streak of private-sector job creation on record. We also know that the upswing in job growth this year has come in industries with higher wages. Overall wages are on the rise. And that’s some very welcome news for millions of hardworking Americans. Because even though corporate profits and the stock market have hit all-time highs, the typical family isn’t bringing home more than they did 15 years ago. And that still has to change. And a vibrant jobs market gives us the opportunity to keep up this progress, and begin to undo that decades-long middle-class squeeze. But first, we need the outgoing Congress to pass a budget and keep our government open. A Christmas shutdown is not a good idea. Then, when the new Congress convenes in January, we need to work together to invest in the things that support faster growth in higher-paying jobs. Building new roads and bridges creates jobs. Growing our exports creates jobs. Reforming our outdated tax system and our broken immigration system creates jobs. Raising the minimum wage would benefit nearly 28 million American workers, giving them more money to spend at local businesses – and that helps those businesses create jobs. America, we still have a lot of work to do together. But we do have real, tangible evidence of our progress. 10.9 million new jobs. 10 million more Americans with health insurance. Manufacturing has grown. Our deficits have shrunk. Our dependence on foreign oil is down. Clean energy is up. More young Americans are graduating from high school and earning college degrees than ever before. Over the last four years, this country has put more people back to work than Europe, Japan, and every advanced economy combined. The United States of America continues to outperform much of the world. And we are going to keep it up until every American feels the gains of a growing economy where it matters most – in your own lives.